Anytime you buy a product or try a medication, there is a reasonable expectation of safety. It is assumed, and legally required, that products of all types live up to certain industry safety standards. It is also assumed that any marketing or advertising of a product is based in truth and also explicitly defines any hazards or warnings. However, there are times when a product or medication is designed, manufactured, distributed, marketed, and then used to the detriment of an unsuspecting public. 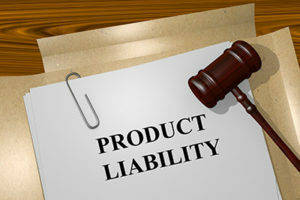 When personal injury , harm or even an unfortunate wrongful death has occurred due to a defective product or hidden hazard, a product liability case can lead to damages for those adversely affected. The law office of George C. Malonis takes product liability law very seriously because there can be a wide variety of consequences when someone has been the victim of a defective product. The defect could boil down to a design flaw, manufacturing flaw or inadequate warnings or unclear direction for use in the marketing and advertising stage. The types of injuries or damages that can occur from a defective product can range from minor injuries to very severe injuries that are life changing. Going against a major company or corporation to prove product liability can be intimidating and even overwhelming. The Massachusetts product liability attorney at the law firm of George C. Malonis isn’t intimidated by large companies who didn’t live up to what they promised or were obligated to warn their customers about. The law firm of George C. Malonis knows a settlement and damages from a product liability suit may be vital to provide the care needed to treat injuries and also help prevent anyone else from being the victim of a defective product. We will work tirelessly to prove your case, document the injuries, secure the testimony of industry experts, find the resources needed to investigate the nature of the defect, and get you the justice and compensation you need and deserve. With George C. Malonis in your corner, a defective product and the ensuing injuries or damages do not have to have a permanent effect on your quality of life. Let us help you get the justice and settlement you deserve as quickly as possible.